Dr. Dennis J. Chew is a Full Professor in the Department of Veterinary Clinical Sciences at The Ohio State University College of Veterinary Medicine in Columbus, Ohio, where he has been employed for over 25 years. He is an Attending Clinician in the Veterinary Medical Teaching Hospital and is Service Head for an internal medicine ward. Dr. Chew is board certified by the American College of Veterinary Internal Medicine (internal medicine specialty). He is active in teaching in both the classroom and clinics and conducts research activities related to the urinary tract of dogs and cats. Dr. Chew has authored numerous scientific papers and written extensively in textbooks relating to the urinary tract. Dr. Chew is especially interested in lower urinary tract disorders of cats, cystoscopy, progression of chronic renal failure and its prevention, acute renal failure, and disorders of calcium balance. Dr. Stephen P. DiBartola received his DVM degree from the University of California, Davis in 1976. He completed an internship in Small Animal Medicine and Surgery at Cornell University in Ithaca, New York in June 1977. He was a resident in Small Animal Medicine at The Ohio State University College of Veterinary Medicine from July 1977 to July 1979. He was Assistant Professor of Medicine at the University of Illinois College of Veterinary Medicine from July 1979 until August 1981. In August 1981, Dr. DiBartola returned to the Department of Veterinary Clinical Sciences at The Ohio State University as Assistant Professor of Medicine. He was promoted to Associate Professor in 1985 and to Professor in 1990. 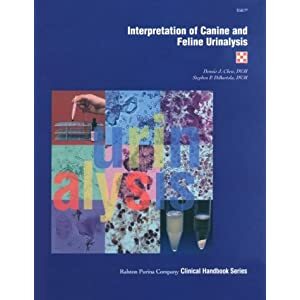 He received the Norden Distinguished Teaching Award in 1988 and completed a textbook entitled Fluid Therapy in Small Animal Practice currently in its second edition (published by W.B. Saunders Co.). Dr. DiBartola currently serves as co-editor-in-chief for the Journal of Veterinary Internal Medicine. Dr. DiBartola's clinical areas of interest include diseases of the kidney and fluid, acid-base, and electrolyte disturbances. His areas of research interest include reactive systemic amyloidosis and two familial renal diseases of cats, familial amyloidosis of Abyssinian cats and autosomal dominant polycystic kidney disease in Persian cats.